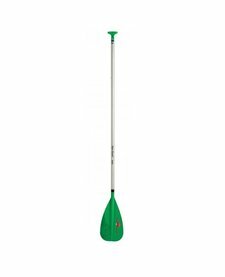 This entry-level paddle has a strong, bright green epX engineered polymer blade and an aluminum shaft to help beginners get a feel for this sport. The Spark weighs just 33 oz. and it is the most value-conscious SUP paddle in the Aqua-Bound lineup.